Game recaps, Lightning win their 59th game, Predators clinch a playoff berth, stars of the week, Capitals visit the White House, and more in today’s NHL morning coffee headlines. NHL.COM: The Tampa Bay Lightning became the fourth team in NHL history to win 59 games in a season by erasing a 4-2 deficit to beat the Boston Bruins 5-4. Steven Stamkos scored two goals and Anthony Cirelli netted the game-winner with 53 seconds remaining in regulation. Earlier in the day, the Lightning revealed defenseman Dan Girardi (lower-body injury) is sidelined indefinitely. Four goals by John Tavares helped the Toronto Maple Leafs beat the Florida Panthers 7-5 (Photo via NHL Images). A four-goal performance by John Tavares powered the Toronto Maple Leafs to a 7-5 victory over the Florida Panthers. 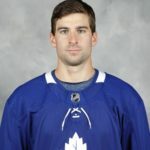 With 45 goals, Tavares sits second among the league leaders. Mitch Marner and Zach Hyman each had three points for the Leafs while Jonathan Huberdeau and Jayce Hawryluk each scored twice for the Panthers. The Leafs (96 points) are five behind the Boston Bruins for second in the Atlantic Division. Zach Sanford had a goal and an assist as the St. Louis Blues downed the Vegas Golden Knights 3-1, preventing the latter from clinching a postseason spot. With 90 points, the Blues sit two points behind the Nashville Predators for second in the Central Division. The Nashville Predators secured a playoff spot by blanking the Minnesota Wild 1-0. Juuse Saros made 29 saves for the shutout and Ryan Johansen tallied the only goal. With 92 points, the Predators sit two behind the Central Division-leading Winnipeg Jets. The Wild (79 points) remain two back of the Colorado Avalanche for the final wild-card spot in the Western Conference. Speaking of the Jets, they dropped a 5-2 decision to the Dallas Stars. Tyler Seguin and Radek Faksa each scored twice for the Stars (84 points), who opened a three-point lead over the Avalanche for the first Western wild-card berth. The Pittsburgh Penguins (95 points) moved to within a point of first place in the Metropolitan Division by defeating the New York Rangers 5-2. Teddy Blueger tallied twice as the Penguins overcame a 2-0 deficit. Phil Kessel also collected two assists. Earlier in the day, the Rangers announced winger Jesper Fast (shoulder injury) will be sidelined for the remainder of the season. Jack Campbell had a 42-save shutout as the Los Angeles Kings upset the Calgary Flames 3-0. The Kings played without winger Ilya Kovalchuk, who remained back in Los Angeles to work with the club’s development and skills staff. GM Rob Blake said the decision was not based on Kovalchuk’s comments last week complaining about his declining ice time under coach Willie Desjardins. Earlier in the day, Kings defenseman Drew Doughty created a pre-game stir by saying he has no respect for Flames winger Matthew Tkachuk, who clashed with Doughty in previous contests. SPECTOR’S NOTE: Kovalchuk was going to be a healthy scratch during the Kings’ three-game road trip so apparently it was a mutual decision (based on his suggestion) to remain in Los Angeles. I’ll have more on Kovalchuk and the Kings later this morning in the Rumors section. The San Jose Sharks suffered their sixth straight defeat by falling 3-2 to the Detroit Red Wings. The loss leaves the Sharks six points behind the Flames for first place in the Pacific Division and the overall Western Conference standings. New Jersey Devils goaltender Cory Schneider kicked out 45 shots backstopping his club to a 3-1 win over the Buffalo Sabres. Pavel Zacha had a goal and an assist. The Sabres have dropped 12 consecutive road games. Winnipeg Jets winger Kyle Connor, Tampa Bay Lightning center Steven Stamkos, and Colorado Avalanche goaltender Philipp Grubauer are the NHL’s three stars for the week ending March 25, 2019. The White House and President Trump yesterday welcomed the Washington Capitals to commemorate their 2018 Stanley Cup championship. Capitals defenseman Michal Kempny attended the event on crutches and is considered sidelined long-term with an injured left leg. NEWSDAY: New York Islanders coach Barry Trotz became the fourth coach in league history to reach 1,600 regular-season games during his club’s 2-0 win over the Arizona Coyotes on Sunday. Must have been a beauty in TB last night. The Lightning just keep finding ways to win. TBay/Bos game was great. Very very exciting. Loved JTs 4 goals. Kudos. Let’s hope he can get to 50. Longshot, but possible. However, Leafs just cannot expect to go deep in any playoff run (this year or out-years) if they think they can win series by outgunning opponents in high scoring games, every game. That is not play-off hockey. Still need off-season moves to shore up D.
I still think Bos/TBay for Div finals; good series; but TB advances to SC; and as the West is performing right now— How can they expect to beat TBay. Pens— great to see a 3 game road trip completed with 3 wins. Good effort, great come-back. Note: again—- both goals against— guess who was out of position. Hellllloooooooooo!!!! He also almost cost 3 other goals (thanks to Murray, the post, and other teammates piling the crease— that could have been 5 goals ALL because of him!!!!). Sully, you absolutely MUST either crimp his minutes waaaaaaaaaaay waaaaaaaay waaaaaaay back in playoffs; or sit him. Sit him is the absolute best. Just because he can hit, log minutes, and block shots does not in any way make up for the brutal positioning and brutal play reading game in game out that is causing goals and near goals and plummeting the corsi and other stats for any other player on the ice when he is!!!! Pens have 5 games left and are 1 point out of first in the Div. Yet they could potentially (mathematically) still miss they playoffs. Each of Wash (1st in Div right now) and NYI (2nd in Div) could also miss the playoffs (mathematically right now) AND…. Here is the kicker; as at now— Columbus (right now out of a playoff position) could still finish First in Div and 3rd in the conference [can’t catch Bos]). That’s with just 12 days left in the Season. Now that is tight!!!! This will be very very exciting hockey over the next 12 days.